The Alternative booster is back for a second round! Fresh new ways to build decks with new flags, and special monsters! A slew of special cards packed into this new set allows you to diversify your old decks, and build all new creative ones! 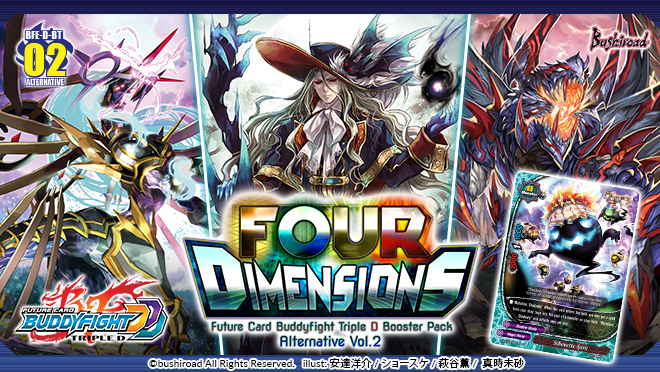 Cards from all worlds, as well as powerful re-issued cards allow you to maximize the potential of your decks! 118 types of cards RRR: 8 / RR: 14 / R: 32 / C: 60 / BR: 4 (Parallel) + SECRET: ?? 1 PR flag card will be randomly inserted into each display (2 types in total)! 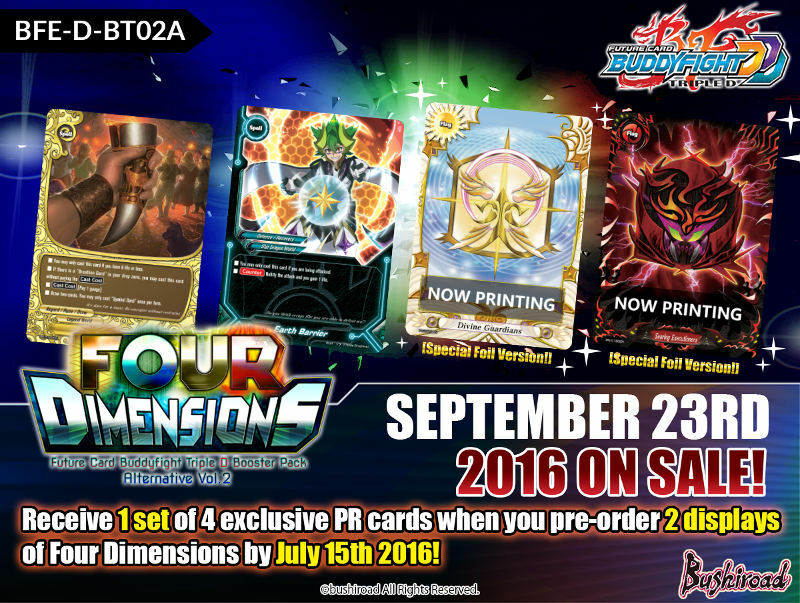 Receive a set of PR cards (4 types) for every two displays of D-BT02A “Four Dimensions” pre-ordered by July 15th! Brand-new flags: Divine Guardians and Searing Executioners are now revealed! Receive a set of special foil flags plus two PR cards for every two displays of D-BT02A “Four Dimensions” pre-ordered by Friday, July 15th. To pre-order, please contact your local stores.